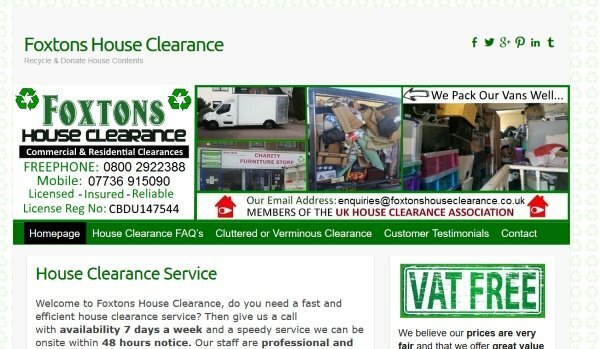 Company Description: Foxton House Clearance is a Professional and regulated Waste removal Company. Founding by William Eaglestone in 2014. William started trading as Foxton House Clearance as there was a demand in the market for a Fresh, Professional and Reliable House Clearance services. Business picked up very quickly due to Foxtons attitude to keeping the customer satisfied and its unique way of pricing its products. The Company now has a Fleet of high capacity Luton Vans, Highly trained staff and operates not only within his Homeland North East areas but operates UK Wide.